L-R: Jeff McCarthy and Nambi E. Kelley in KUNSTLER at 59E59 Theaters. William Kunstler, an ACLU director from 1964 to 1972 was a staunch civil rights advocate, attorney, and liberal icon who gained both notoriety and acclaim for his spirited defense of clients ranging from the Mississippi Freedom Riders to the Chicago Seven, from the Black Panthers to the Attica Prison rioters, and from the American Indian Movement to the Weather Underground. But if his clients were controversial (and they certainly were), so was the man himself. On the one hand, for example, he argued that he defended his clients because, guilty or not, everyone is entitled to the best possible defense. That is why, he contended, he didn’t limit his clientele to men like Martin Luther King, Jr. or the Mississippi Freedom Riders but also chose to defend such unsavory characters as Colin Ferguson (the black man who killed six people in a shooting rampage on a Long Island Railroad train), Sheikh Omar Abdel-Rahman (the blind sheikh responsible for the World Trade Center bombing in 1993), and such mob bosses as John Gotti and Joe Bonnano. And yet, at the same time he refused to defend right-wing groups such as the Minutemen, proclaiming that “I only defend those whose goals I share. I’m not a lawyer for hire. I only defend those I love.” Similarly, Kunstler viewed due process as merely a means to an end, unabashedly politicizing the issues in his cases if he thought that doing so might inure to the benefit of his clients. 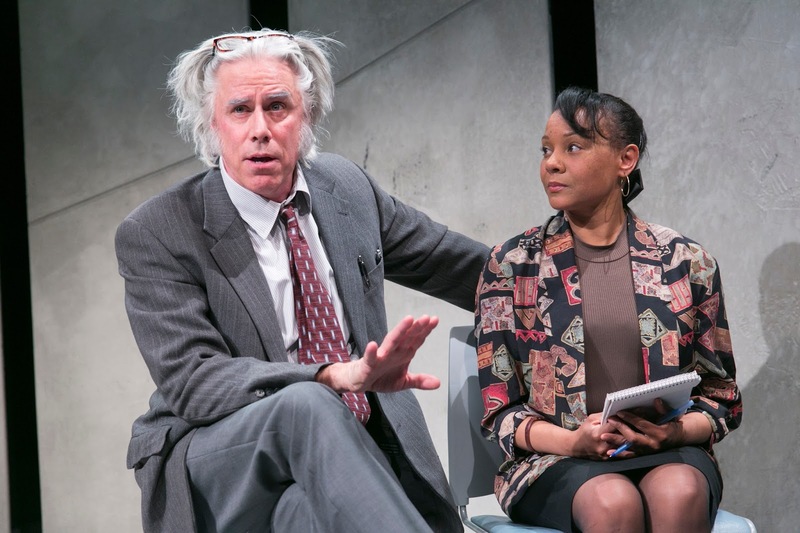 Kunstler by Jeffrey Sweet, currently being staged at 59E59 Theaters on East 59th Street in midtown Manhattan, is an enormously entertaining paean to William Kunstler, featuring an absolutely bravura performance by Jeff McCarthy in the title role. But the 90-minute two-hander in which William Kunstler is gently confronted by Kerry (Nambi E. Kelley), a young, black female law student who challenges him to justify his defenses of John Gotti or Colin Ferguson, could have been even better if it had addressed the contradictions in Kunstler’s persona more forcefully. 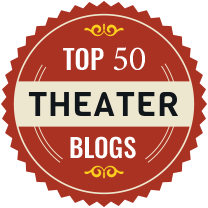 As it is, the play merely alludes to but generally glosses over Kunstler’s shortcomings – from the infidelities that led to the collapse of his first marriage to his rationalizing justifications for Ferguson’s murderous behavior as being “understandable” in terms of “black rage,” providing Kerry with limited opportunity to provide a strong counter-balance to the positive depiction of the liberal icon presented throughout most of the play. And as a result, the play is neither intellectually stimulating nor thought provoking, although it certainly is extremely entertaining. And maybe just being entertaining is quite enough.